Ice cream sandwiches and summer go together like peas and carrots. It's my personal favorite frozen treat, mostly because it's two desserts in one <double fist pump>. Well, it's August so this was my cue to attempt making these puppies for the first time. As for my cookie recipe selection, I wanted the cookie to be tasty but understated, a perfect wingman for the ice cream, so I chose a white chocolate chip cookie recipe. You don't want a crispy cookie in an ice cream sandy, so I purposely undercooked them a titch to get that chewy texture. Pro Tip: When making ice cream, especially in this case, be sure to make it the night before so it hardens in time. Another thing to factor in is the assembly time. The process of putting ice cream between two cookies sounds like NBD, but it's strangely tedious and brought me back to my sculpture class days. I've included my process below to help soften the blow. Verdict? The strawberry ice cream is my new personal favorite- creamy with a bold strawberry flavor, thanks to the roasting. The cookie is just what I was looking for too: chewy, mellow and kindly lets its ice cream friend shine. This sando is a real spot hitter for these summer days so go be a hero and make them for your favorite. 2. Toss strawberries with 2 tablespoons sugar and balsamic vinegar, and spread on a baking sheet. Roast in the oven for 30-40 minutes or until soft. Allow to cool. 3. Once cooled, finely chop, or puree the strawberries using an immersion blender. 4. In a large bowl whisk together milk, heavy cream, 1 cup sugar, salt, vanilla, and strawberries. Pour mixture into the freezer bowl of an ice cream maker and freeze according to manufacturers instructions. 2. In the bowl of a stand mixer cream together the butter and sugars. Add the egg and beat the mixture together into a smooth batter. 3. Sift the flour and baking soda into the batter and continue mixing until all of the dry ingredients are incorporated. Mix in the white chocolate chips. 4. On a parchment–lined baking sheet, arrange tablespoon-size balls of cookie dough a couple of inches apart, then freeze for about 10 minutes. (you should get 12 cookies all together). 5. Bake the chilled cookies for 10 to 12 minutes. They should seem slightly undercooked on top to get the amazingly chewy texture. 6. Cool entirely on a rack before making your ice cream sandwiches. 7. Assemble your ice cream sandwiches and enjoy. Tips below! It's a process to assemble, and it took me several tries until I had some sort of system. Here's my technique. 2. Scoop ice cream with a regular spoon, not an ice cream scooper. Scoop strips (not balls) and layer them in a row as close to the edge as you can get, then repeat the process on top of that row, perpendicularly and so on until you have about 3/4" stack. 3. 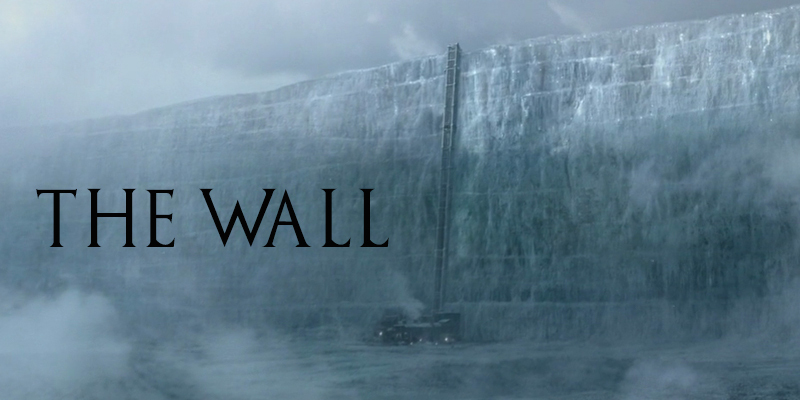 Create a <white walker> wall wrapping around the outside of your stack. 4. Even out the stack o' ice cream as best as you can with the back of your spoon, then place the second cookie on top, face up. 4. Smooth out the sides of the sando with a butter knife and add additional ice cream to the sides if needed. 5. Gobble that ice cream sando or put it back in the freezer until you're ready to gobble.